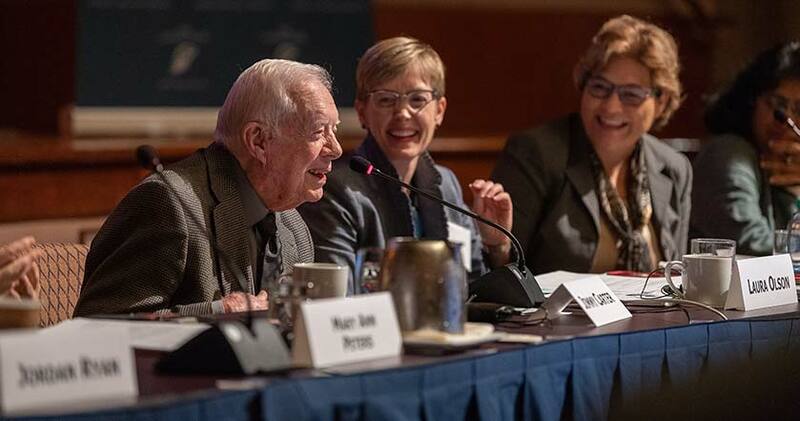 Former U.S. President Jimmy Carter shares his perspective with human rights defenders from around the world at a July conference hosted by The Carter Center. Last July The Carter Center brought together nearly 70 activists, peacemak­ers, and religious and community leaders from 36 countries for the annual Human Rights Defenders Forum. The conference theme — “Restoring Faith in Freedom” — was chosen because of the sense that many people across the globe are losing faith in the institutions and principles that have long guided them. The group spent four days discuss­ing pressing issues — income inequality, the rise of authoritarianism, the backlash against human rights defenders — while also looking for ways to restore the social contract, rebuild faith, and recommit to the indivisibility of human rights. 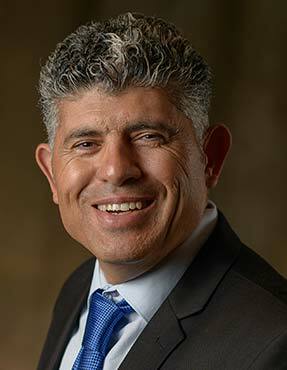 Nassar is founder and executive director of Tent of Nations, an educational and environmental farm in Bethlehem, Palestine. His family has fought a 27-year legal battle with authorities who want to confiscate his land. “When people live under a difficult political reality, with no hope, and are threatened by violence, there are typically three options: violence, resignation, or emigration. But Tent of Nations espouses a fourth option: We refuse to be enemies. Four important principles inform that fourth option: (1) We refuse to be victims. (2) We refuse to hate. (3) We live with our faith. (Nonviolent resistance is a way of life, not just a strategy.) (4) We believe in justice. 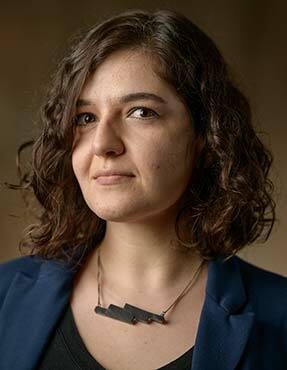 Marilia Ramos is a member of Repórter Brasil, which seeks to provide information to influence policymakers and public opinion in the fight against slavery and human trafficking. “Sometimes we have this sense that human rights issues are the same for every­one, but really every country has its own struggles. In Brazil, since 1995, there has been a policy to combat slave labor, which is now being dismantled. We’re trying to sensitize the population to this issue and to press for its maintenance. We face opposition from the public and private sectors, as well as the rural caucus, because they don’t want the country to look bad, or cause prob­lems in their supply chains, or face financial restrictions from international investors. The Rev. 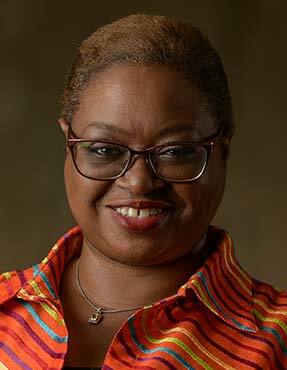 Leah D. Daughtry is president and CEO of On These Things, which helps businesses and organizations strengthen capacity and build coalitions and partnerships that advance the common good. “For the past seven years, my organi­zation has been working in the mountains of Appalachia, where there is entrenched long-term poverty. As in many disadvan­taged communities, there was a lot of mis­trust; the struggle for limited resources tends to fracture communities. Because of the long-term effects of poverty, there’s also a lot of depression. Our work has been to identify and leverage resources that already exist in Appalachia to help people empower them­selves — to give them the push to create their own solutions, elevate local voices, improve the schools and the economy, bring new services, and create new possibilities for young people.